Digital marketing is a boon for marketers who like data. You can measure almost everything online – and make educated decisions based on solid analytics. There are so many different metrics you could measure, but which ones will have the greatest impact on your business? Which ones tell the story of what’s happening on your website and with your sales? In this tutorial, we’ll review the 5 most important categories of digital marketing metrics and how you can measure each one. For each level you move your customers through, we’ve defined several metrics that help determine how well your digital marketing efforts are doing. 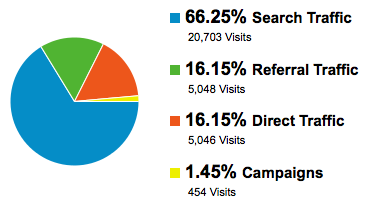 For many of these metrics, we use either Google Analytics or seoMoz.org [aff]. Branded keyword searches are the number of keywords that are searched for in a given month that are specific to your brand. For example, if you searched for “learnthat.com,” “learnthat”, or “Learn That,” these are all brand keywords. The number of brand keywords searched for demonstrates how well your branding is working: are people searching for your website by name? This screenshot is from seoMoz, a search engine optimization data analysis organization. It shows weekly data, including branded keyword searches. In this example, branded searches increased 33% week over week. As you spend money on branding campaigns, a side effect should be an increase in branded keyword searches. The total numbers of keywords searched for indicates how well your search engine optimization (SEO) efforts are going. This demonstrates your exposure in long tail keywords – all those keywords that are not brand related and are not “popular,” but as a whole, drive a lot of traffic. In Google Analytics, navigate to your standard reports. Click on Traffic Sources, then Search, then click on Organic. At the bottom, you will see a total count of keywords. In the example, you see this site has 7,943 unique keywords bringing traffic to the site. Weekly total reach is a Facebook stat showing how many people are reached in a given week through your social media efforts. This number of the unique number of people who saw content associated with your page in a given week. In the example here, you can see a Weekly Total Reach of 13,754 people. This is an important metric to see how well your social media efforts are reaching people you know, and don’t know. As you can see, the Weekly Total Reach of 13,754 people is more than the number of people who Like this page. Measuring your search engine optimization capabilities is one of the key functions as a digital marketing specialist. The number of unique URLs receiving entrances demonstrates the breadth of your content and SEO. This number can also be found in Google Analytics. Navigate to Traffic Sources, then Sources, then Search, then Organic. In the middle section, click on Landing Page in the Primary Dimension section. At the bottom right, you will see the total number of results. Domain authority is a measurement of a domain’s ranking potential based on all links. Domain authority will increase as the number and value of incoming links increases. If you want significant growth in domain authority, you should acquire links from high authority sites, such as .gov or .edu websites. This measurement can be found for free at www.opensitexplorer.org, a service of seoMoz. Enter in your site domain and you will see several metrics, including domain authority. Once a potential customer finds your site, how to do you measure their interest in your brand? Interest metrics show the appeal of your brand and whether or not you are motivating people to learn more about your brand. Search volume is the number of searches performed to find your website. This is an important metric to gage your SEO efforts. Search traffic is effectively “free” traffic, outside of your SEO costs, so the more search volume you can generate, the more possibility of converting those visitors to customers. 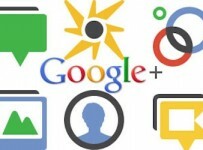 Search volume demonstrates and interest in what you’re offering as an organization. You can find this chart in Google Analytics. Click on Traffic Sources and then Overview. There is no “right” formula for the share of traffic for search, referral, and direct, but generally we like to see about a 1/3 of your traffic from each source. In this case, this site has a very high amount of search referrals and low referrals elsewhere – not always a healthy situation. Since Facebook fan counts are all over the board, we recommend counting your Facebook fans as a percentage of the total of your competitors’ total. This provides you a competitive benchmark to understand if you’re growing relative to your competitors. To calculate this metric, decide on 4 or 5 primary competitors. 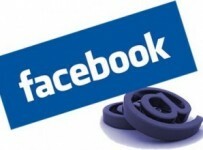 Divide your Facebook fan count by the total number of fans of your primary competitors. You’re looking for a growth in percentage for your brand from month to month. Like Facebook fans, the total number of Twitter followers can have a wide range between you and your competitors. We recommend measuring this as a percentage of the total of your competitors’ counts. This is similar to the metric above: select 4 or 5 competitors and sum their total Twitter followers count. Divide your Twitter follower count by the sum of your competitors to find your percentage. We’re looking for growth month over month in this metric. This metric shows the number of new subscribers, or adds, to your email list. This measures the interest in receiving more information about your brand, products, or services. 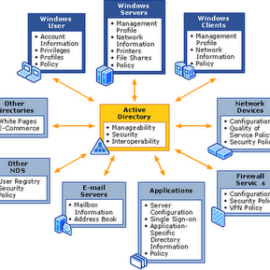 You can find this information in your email service provider stats. This metric is the total number of subscribers on your email marketing lists. Though you may be adding new people, is the total list growing when you subtract out unsubscribes? 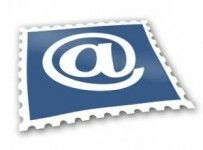 The total email list subscribers illustrates the health of your email marketing list. If you’re experiencing a lot of churn, people leaving the list, you need to analyze where the problems are in your email process or strategy. You can find this metric in your email service provider stats. The unsubscribe rate is the percentage of your total list that unsubscribes in a given time period. This metric measures the health of your list from a content and fit perspective. People unsubscribe when they’re not interested in your organization or content, it wasn’t what was expected, you’re emailing too often, they’ve moved on from needing your product or service, or for personal reasons. If your content isn’t the right fit for a lot of your audience, you should consider changing your strategy. You can find this metric in your email service provider stats. The number of unique visitors to your website. 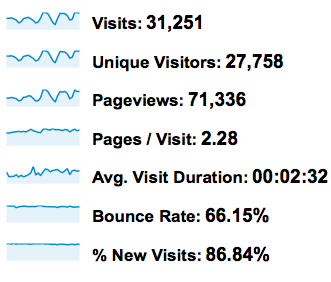 This is one of those “staple” digital metrics that shows how much traffic your website is receiving. As we roll out our digital marketing plans, we expect a growth in this metric. You can find this metric in Google Analytics under the Audience section, on the Overview tab. You can see from this image that Unique Visitors is a distinct metric from Visits and Pageviews. Visits counts unique visitors who come to a site multiple times. Pageviews measures the number of pages viewed. Unique visitors only counts a unique machine that connects to the website. The average amount of time visitors spend on your website. You can find this metric in the same spot as the Unique Visitors metric in Google Analytics. Time on site measures the engagement of visitors to your site – how long do they spend on your site reading your content or looking at your products? The number of non-paid keywords sending search visits to your website measures how well your content marketing efforts are working. For a lot of organizations, search engine referral traffic can be a significant source of new visitors. People who come in through search are often very interested in the specific search terms targeted and if you have high quality content and SEO, you can find the right people interested in what you’re selling. This metric is often the same as the Number of Keywords Searched For metric. Once people are interested in your brand and your organization, how do you get them interested in engaging with you and learning more? An engaged fan is one who is more likely to become your customer. Engagement takes a long-term view of the customer versus a short term focus on conversions. Many people believe it’s difficult to effectively measure social media, but often, the measurement is focused on the wrong thing. Social media isn’t about sales and immediate conversions, it’s about creating conversations and loyalty and developing advocates for the organization. This metric is the total number of Facebook Fans your brand page has. Raw numbers in social media is important, but its not the most important thing. The most important thing on Facebook is finding engaged fans. For this reason, you never want to “buy” fans, but instead, generate them through more organic or targeted means. Your total number of Twitter followers shows how many people are interested in your brand for more instant updates. The Talking About Us metric tells how engaged your fans are on your Facebook page. The number of a rolling 7 day total of engagement: likes, shares, comments, posts, and so forth. The more engaged your Facebook fans are, the higher chance that you’ll show in people’s feeds. Since you and your competitors likely have different number of Facebook fans, we recommend also reporting Talking About Us as a percentage of your total Facebook fans. In our example, we divide the talking about this number, 372, by the total number of likes, 9,673, to find a percentage of 3.8%. We’ve found that above 2% is a good percentage, below 2% means you have an engagement problem. The percentage of people clicking links in your emails. This metric can show how effective your content is in motivating people to click thru. This metric can be found in your email service provider. This metric shows how many people open the emails you send. A high open rate demonstrates that people are engaged with your email marketing efforts. Unfortunately, this metric is never completely accurate as we cannot measure open rate on every email client. The bounce rate measures the percentage of people who arrive on a single page on the site and leave before moving on to other pages. The bounce rate can be used to determine the effectiveness of a page. The lower the bounce rate, the better. A low bounce rate means people visit multiple pages on your site. You can find the Bounce Rate in Google Analytics. Click on Audience and then Overview. This metric shows the number of clicks happening in your social media posts. We used a third party social media posting tool to monitor this metric – this measure all of the clicks happening from links within your social posts. If you use a tool such as bit.ly to shorten your URLs, you can track clicks on all of the links in your social posting tool. Visit the bit.ly site and enter in a URL and press enter. Click on the number of clicks next to the link at the bottom to see bit.ly stats for that URL. Social media metrics are a great measure of how engaged people are – what is the total number of Facebook Likes on your content? 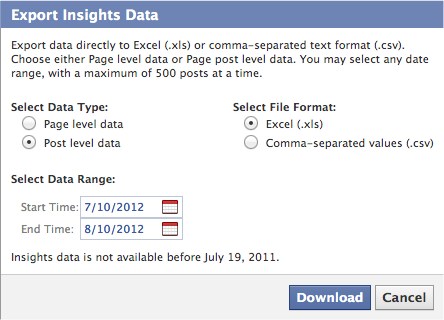 You can find this information in your Facebook Page Insights. Click on Export Data and select Post level data. Click Download to download your spreadsheet of data. On the second tab of the spreadsheet, Lifetime Talking About This, you will find a list of your posts with a count of Likes, Comments, and Shares. On the next page, we’ll explore Sales and Advocacy.